Otro disco, mejor dicho discazo en este caso, del mago jipón y drogón de la guitarra canterburiana, otra vez es Lino el que aporta con esto. No se olviden de agradecerle. "Green" es el cuarto material de estudio del mago hippioso de la guitarra carterburiana. Producido por Nick Mason (baterista de Pink Floyd) y con la locura de los más lisérgicos teclados en una experiencia psicodélica garantizada. Bien jipón y talentoso. A diferencia de otros discos, esta música está más enfocada en la composición en vez de instrumentaciones largas y explorativas como las que se nos presentó este mismo músico en otras oportunidades. Un viaje cósmico, por texturas psicodélicas y aderezadas por la fantástica y única manera de tocar la guitarra de Hillage. Música mítica y misteriosa, muy atmosférica, espacial, toda una experiencia de por sí. This is the first HILLAGE album were Miquette Giraudy really demonstrate talent for techno keyboards. Hard to believe those excellent keyboards are played by a woman. This album was surely a good reference of inspiration for OZRIC TENTACLES, especially the keyboards. It is not surprising that Miquette Giraudy and Steve HILLAGE work together these years in a techno ambient group named system 7 (system 777 in USA). The sound is so space here that even the guitar is sometimes sequenced and has full of frequencies filter changes effects! I find this record quite structured, and the drums + bass do a very good job. Just hear the guitar sound on "Palm Trees": absolutely amazing! It reminds me just slightly Steve HACKETT's solos on "Spectral Mornings" and more the "Listen" solo on "Magic is a Child" (NEKTAR). This record is one of his best. By this album , the Hillage/Giraudy sound is well established and working in full speed. But the end of the classic era is nearing and will finish with Open after the dreadfoll Rainbow Dome project. The first two numbers are still excellent but the following pieces only manage to retain my attention on sporadic occasions until the final number always gets me GoinG aGain as that typical riff is MaGick (get my drift?). Still worth a spin now and then. Pretty much follows in the same footsteps as "Motivation Radio", although I think this album is a notch better. Album was produced by Nick Mason, of PINK FLOYD (who also produced GONG's "Shamal", as well). Despite the album being released in the punk and disco dominated world of 1978, the lyrics tend to be hippie-oriented, with that "talk to the trees" and "Mother Earth" theme found throughout the album. Here, HILLAGE experiments with tape delay, especially on "Ether Ships", using tape delay to play duets against himself on guitar. This is very much the same style you hear on PINK FLOYD's "The Wall", or some of the earlier works of OZRIC TENTACLES (like "Dissolution" from "Pungent Effulgent"). You can be pretty sure that "Green" had a big influence on the OZRICS sound. "Sea Nature" sounds like it came right off "Motivation Radio", but near the end is some cool glissando guitar and vocoder. "Musick of the Trees" is one of those "I talk to the trees" songs, with some mindblowing spacy synthesizers at the end. But the one thing bothing me about this album is "The Glorious Om Riff". It's basically his version of GONG's "Master Builder", but without lyrics, so you know what to expect here (funny that the OZRICS had their own version of the song off their early "Live Ethereal Cereal" cassette). If you like "Motivation Radio", you're certain to like this, although "Fish Rising" is of course, the better album. Definitely Hillage's best album by far. Nick Mason on drums and helping production also adds to the music's overall class. Let Green take you on a magic cosmic trip from ' Sea Nature' and ' Ether Ships' right thru to the ' Glorious Om riff'. You can see where Ozric Tentacles got a lot of their inspiration and Green is a cut above all his other releases. SH manages to convey the whole eco-friendly qualities too with distinction on 'Musick for the trees' and ' Palm trees ( love guitar)'. His guitar work his second to none and Miquette Giraudy's synth interludes are perhaps the best I have ever heard her play.Seriously if you do not have Green best invest in it soon because you will only realize then what have been missing since 1978. Steve Hillage seems to have found his own sound here. I still prefer his debut "Fish Rising" though, but this is my second favourite from him. Nick Mason from PINK FLOYD helped Steve produce it and he also plays some drums. I'm sure having Nick on board was inspirational to Hillage and everyone else playing on this record. THE OZRIC TENTACLES really do come to mind at times. Perhaps this album inspired them too. "Sea Nature" has such a good trippy sound to it, even the vocals have a psychedelic flavour to them. Lots of synths and some processed vocals too.The last couple of minutes are quite spacey. Nice. "Ether Ships" opens sounding like a TANGERINE DREAM track. Guitar comes in playing over top of the pulsating synths. Great sound ! I like the drumming 3 1/2 minutes in too. "Musk Of The Trees" opens with some gorgeous guitar melodies.The vocals have a FLOYD vibe to them, I like them. Blistering guitar before 4 minutes. It's spacey late. "Palm Trees (Love Guitar)" opens with a beautiful melody.The guitar reminds me of Page.Then Steve lets his guitar soar. Nice. Vocals 1 1/2 minutes in but this is a guitar led track. "Unidentified(Flying Being)" is a funky tune. It makes me smile. Some nice guitar before 3 minutes that goes on and on. "U.F.O. Over Paris" has some good bass and drums that provide the base while the guitar solos over top. It turns spacey as the beat fades out. Cool ! It blends into "Leylines To Glassoom" where it is very electronica sounding. Guitar comes in after 2 1/2 minutes. "Crystal City" is a fuller sounding song. I like it ! Vocals before 2 minutes. It settles after 3 minutes and turns spacey. "Activation Meditation" is a spacey 1 minute tune with pulsating synths. "The Glorious Om Riff" is the closer. The longest song too at almost 8 minutes. This song is much heavier then any of the other tracks. Great rhythm as guitar comes in. Ripping guitar before 3 minutes. My top 3 tracks are "Ether Ships", "Palm Trees (Love Guitar)" and "The Glorious Om Riff". I highly recommend "Green" or "Fish Rising" is you want to check out Hillage's solo work. From the moment 'Sea Nature' drifts from your speakers you know you're in for a smooth ride through the cosmic ether - if there can be such a thing.. Anything is possible in the strange world of Steve Hillage, and 'Sea Nature' proves it. Layers of cosmic keyboards and spacey guitar form the base of what is an excellent song, and right in the thick of the punk era! Hillages voice has a Dave Brock quality to it, but without the tuning problems and druggy nasel congestion and his guitar playing is faultless. There are running themes of nature, UFO's, and meditory contentment throughout 'Green' and there are no weak tracks as far as I'm concerned. The album glides from track to track, drawing you in further into Hillages 'green' world, and as I have learned in recent years, you DONT have to be stoned to enjoy this album...but arguably it helps.. Despite being a lifelong Hawkwind fan, I've not paid much attention to 'Space Rock' generally. I discovered Hillage in my mid 20's, after I had lost interest in most things psychedelic, but Hillage managed to grab my attention nonethless. I'm glad he did. I've heard about 4 of his albums so far, and 'Green' remains my favourite. 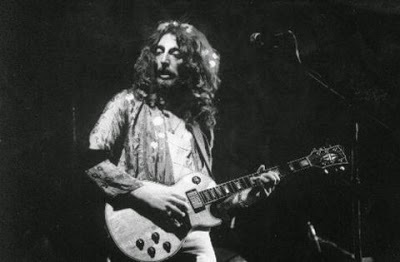 Steve Hillage is part of that rare breed; A guitarist with a unique sound and playing style. It is far, far, easier to say that a particular guitarist sounds like Hillage than to identify the great man's influences - and yet the style is obviously blues-based, reverting to the safe comfort zone of the pentatonic scale time and time again - even when dressed up in modal flights of fantasy. Specifically, the OM or AUM sound which became fashionable with hippies everywhere in the 1970s, but it is crystal clear (sic) that Hillage took it completely to heart and has since made the strongest possible attempts to find this sound using his guitar, music synthesisers and empathetic musicians. And that is what strikes you first about GREEN, the ethereal other-worldliness that Hillage was alreay fully competant in creating has been taken to the next level. While Pink Floyd also succeeded in creating an overall sound that was way ahead of their time on DSOTM, Hillage together with Nick Mason behind the desk, went beyond that sound. Hillage, sadly, spoiled it somewhat with sub-par songwriting skills and a predeliction for over-earnest but well-meaning Hippie nonsense in his lyrics. This hippie "nonsense" is the next thing that strikes you about GREEN, and blame for this lies mainly in the huge amount of homage it pays to Hillage's Gong days - the "Glorious Om Riff" is the main riff of "Master Builder", as the single most obvious example. This single riff (in more fairness, this single album!) is also the foundation of a career for the Ozric Tentacles and many a mid 1980s "New Age" underground band since. Ultimately, the highlights of this album are ALL of the instrumental sections, which are a frankly stunning confection of super-effected guitar and home-grown synth sounds (thanks to T.O.N.T.O. and the ambient synth wizardry of Miquette Giraudy). The drumming from Joe Blocker manages to be machine-precise, yet hangs loose at the same time, mixing rock drive and jazz swing with simple grooves and complex details - percussion is a far more accurate word for what is happening here. Joe manages to express everything that is needed in a manner that is restrained but highly articulate. The bass playing is precise but minimal - following rather than taking part, but you hardly notice this, and really, this is probably all that's required to make this music complete - although it's not the sort of stuff a novice could play. To summarise; Absolutely astonishing sounds and music, even today, that makes the contemporary explorations of Frose and Schultze, etc., sound like kids playing with electronic toys. But the MUSIC outside of the songwriting is Grade A stuff - top quality, well-polished jams with a modicum of composition that hangs it all together nicely. Widely regarded as Progressive Rock, I won't argue too much - although the overriding tendency is to explore in the realms of sound and jam with it rather than to explore all musical possibilites and compose. A great album, and a most excellent addition to any collection - from the rock end of an ambient collection to the ambient end of a rock collection - but second to "Fish Rising" in terms of Prog Rock in a purists collection. My goodness, I skipped many albums before landing on this old trusted friend. For those of you still unsure whether Steve Hillage deserves to be among the "Three Steves" (with Hackett and Howe), the answer is a resounding yes! His hallmark slippery eelish guitar made Gong such a cosmic joyride and influenced so many young aspiring axe slingers. His previous solo albums including the stunning debut "Fish Rising" made quite a commotion back when it hit the proggy wave of the "golden years" and this recording sealed the fame of this stellar musical mind. A "Live Herald" only made the cherry on top of the sundae even tastier. "Green" kicks off into cyberspace from the get-go with a hard psychedelic voyage, a high voltage romp into devilish rhythms and incredible leads and a bizarre finale (wife Miquette on vocoder and all?) on "Sea Nature", a fabulous opening salvo. The terrific "Ether Ships" has serious preliminary vintage Tangerine Dream introduction that lends credence to some whistling lead guitar slashes and a complete plunge into the deepest space. Steve has two lead guitar solo claims to fame: sustained notes and mathematic scales, all conveniently shrouded in intense textures. His various pedaled effects were the first adventurous usage of future MIDI technology; they called "Guitar-synth" back then. Anyway, sturdy stuff this! "Music of the Trees" is only slightly more upbeat but features some incredible synthesized guitar runs, while Hillage intones in his hippy-trippy voice. His picking is bluesy, deathly brisk on occasion, searching for some delirium. Got to say something now, right away, about the drumming , the stool manned by stalwart stickmen in the funky Andy Anderson and the powerful Joe Blocker. Making room for producer Nick Mason (of Floyd fame) only makes this more remarkable. I am pretty sure it's the Pink man on the sultry "Palm Trees", a breezy ballad that lopes along with supreme guitar illuminations (what a solo!) and droll singing from Steve, a classic space ballad if there ever was one! And a pure classic that I fell in love with at first hearing when it was released. "Unidentified" is the funkier side with a manic urban bass held by Curtis Robertson (wow!) and a splendid phosphorescent lead from the Hillfish (as he was often called) a drum barrage leads into the amazing "UFO over Paris" , a breathtaking escapade with plowing bass, manic drumming and wilder almost soaring guitar solos, insistent and yet dreamy , an absolute cosmic expedition that wanders into a synthesized vapor of the deepest order. This blends into "Leylines to Glassdom" (whatever that means! ), a clear trip into more experimental fields, a shuffling olla of bizarre sounds and whistling Moogs in fact closer to ex-Gongster Tim Blake material than anything. Some intricate guitar incursions do not fail to catch the ear, a luxuriant cornucopia of notes and textures. "Crystal City" (now that's a title!) reverts to the space groove , more reptilian bass and pulverizing drums to launch Steve into all kinds of gymnastics over the fret board, the vocals are drug-fuzzy and very hippie. Good stuff. After a short sonic ping-pong interlude, the masterpiece ends on a very lofty note ,the incredibly deep "The Glorious OM Riff" is a legendary composition that has a rooted riff that is positively unremitting, space rock on a grandiose scale that hammers itself far into the prog psyche, a solid platform for the Fishman to really let loose with some blitzkrieg solos, fast , remorseless and hard .I see that my pal sinkadotentree named his 3 favorite songs here and I concur to the tee! A masterful album that sits proudly among my perennial prog albums. Not hearing this is like being deaf. 5 golf courses. 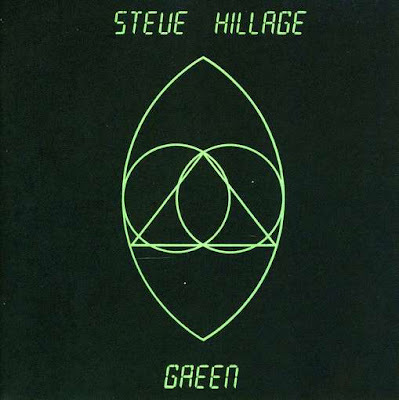 Steve Hillage has had his hands in the space rock scene from many different angles, and on GREEN he presents a nice transition between the proggy space rock of the early seventies and the electronica of the future. Clearly, Hillage has evolved yet again since FISH RISING. While some have noted that GREEN was released at the peak of disco, it is interesting that many of the sounds found on this album infiltrated themselves into the dance scene to the point that many raves would sound more like Hillage than Saturday Night Fever. But don't let that scare you off. This is not dance music, this is trippy space jam for certain. The live drummers (including Floyd skinbeater Nick Mason) set the dreamy stage perfectly, and what a show Hillage sets onto that stage. Along with an assortment of delay-effect guitar tones, the keyboards here (courtesy of partner Miquette Giraudy) range from proggy dexterity to psychedelic splendour. We actually have vocoders, Floydian key beds, and cascading tape loops. Virtually gone are the riffing and composed lines from previous works (which I miss a little). Virtually all the songs are chordally-based, with interest coming from the various layers and their effects. "Sea Nature" is a psychedelic anthem, with a great melodic theme fueling the lyric "I want you to come with me, journeying with your mind." Not exactly the most poetic stuff, nor are Hillage's vocals the most evocative. But it all fits together and achieves its purpose quite well. "Ether Ships" uses a looped guitar figure with a varying filter that evokes both Pink Floyd and later space bands, and is really the dominant sound of the whole album. "Musik of the Trees" begins with a nice acoustic change-up with a soaring synth line which must have certainly influenced many of the new age artists of the next decade. The crystal- hugging lyrics are a bit dated (actually probably over the top even in their own time period), but the music is great. "Unidentified Flying Being" is a funky throwaway that is not only annoying but ruins the mood of the album. Though some Gong fans might enjoy its light- heartedness, it doesn't work for me. The song evolves into a reasonable jam, though one of the weaker on the album through "UFO over Paris." "Leylines to Glassdom" is another echo-y delight where first Giraudy and then Hillage tastily and sparingly solo to great effect. "The Great Om Riff" is something Hillage has used in multiple places, but the version on this album is perhaps the best. In fact, the eight songs from the album's initial ten minus the two UFO stinker tracks are among the best space rock ever made, IMO. My version of the album has 4 bonus tracks, all live. None are spectacular additions to the album, though the sound is good on all. "Octave Doctors" is a nice instrumental, while "Unidentified" was obviously an unwelcome addition for me. "Not Fade Away" is interesting simply from the point of view of hearing a standard rock shuffle tune turned into a space trip. "Meditation of the Snake" is a faithful, energetic live rendition of the FISH RISING track. I've mentioned in other Hillage reviews that I actually prefer his style of space rock to some in the genre such as Eloy or Nektar. There's something more uplifting and positive about the psychedelic vibe. It's certainly a stark contrast to Floyd and perennial Eeyore Roger Waters. And since this exact combination is not necessarily that easy to find, I don't feel bad rating this a 4 (though it probably is non-essential). Enjoy. This is Hillfish's best album by far, anyone who has a bad word for it really doesn't understand how to appreciate music, get your self a decent Hifi and listen to the techinical brilliance of his guitar work on this, also the brilliant keyboard work of Giraudy. This was the pinnacle of Hillages solo career and is a must buy, get yourself comfortable in a good listening position and marvel at a much underrated recording. "Green" is my one of my two favourite Steve Hillage albums (my other favourite being "Fish Rising"). The album blends 70's Psychedelic Prog and Jazz/Rock Fusion with new wave Electronica, which gives it a unique sound. "Green" is Hillage's 4th studio album. The record is oozing with hippy happy vibes, and funky fusion flavours. The addition of Pink Floyd's Nick Mason on drums and the production suits this album very much. Hillage's partner Miquette Giraudy adds some wonderful synth to this album too, which play a vital part in the unique sound of the album. This album isn't so much heard as it is felt. The music seems to be sitting on top of the atmosphere, so to speak. Even as a recent fan of "Green", the album is one of my most sentimental albums. I could write all day about how and why I love this album, but I think it needs to be experienced to fully understand it's depth. This is, in my opinion, a must have for fans of Psychedelic Prog. In my opinion Steve Hillage didn't produce a masterpiece, but if You are looking for one maybe this is the most close to that call. Green is a mean album full of Canterbury sounds and the guitar never sounded better. From the work on "Palm trees (love guitar)" to the really glorious "The glorious Om riff ", a real song that keeps you on the look for something to happen. It is real menacing. But I don´t like the funky side of this CD (It has written 1978 all over It). An uneven record according to my taste but an essential one for the lovers of psych guitar. One of my favourite albums of all time, simply brilliant. A diverse mixture of rhythms and scales, from bouncy and uplifting, through meandering, ethereal soundscapes to the driving, almost menacing version of "The Om Riff". A wonderful collage of sounds and ideas, fantastically intertwined and produced. Some awesome guitar work, including Steve's seemingly infinite arsenal of guitar synth sounds. This album reaches the parts that other music cannot reach. It touches my soul. Fantastic. Can't resist commenting on the first post in this list, by Greenback: "Hard to believe those excellent keyboards are played by a woman." Ahem, women can play keyboards too you know, some of us pretty well in fact. But actually I think a lot of what sounds like synth work on this album is actually played by Steve on guitar synth; the way the notes are bent, the weeping guitar style, the scalic patterns, just the way it's put together, it's him all over. Much respect to Miquette, but I don't think she's doing the dazzling synth solos on this album. Steve also gets a credit for Moog synthesiser, so it's hard to know who's playing which keyboards, but Steve's guitar style is unmistakable, even when it sounds like a synth! Album of STEVE HILLAGE released in 1978 "Green". Advanced work to sound near so-called techno. However, it is an album that wipes out inorganic feeling peculiar to the electornic music. A pop feeling different from the ambient music of the German rock and BRIAN ENO is works of the charm. For those in the know, this represents Steve's most cohesive and polished album. I have a very hard time choosing between this one and Fish Rising in terms of the musical direction, but despite my love for the first album, Green is clearly the more consistently excellent all-around. For this recording, Pink Floyd drummer Nick Mason joins the fold, but frankly, drumming is not really his major contribution to this record. Mason produced the record and the effect is simply magical. The music on this record has moments of great excitement but is highly ethereal and atmospheric and is mostly mellow. The record features some subtle changes in musical style, in that paradoxically, some of Hillage's guitar play (despite the overall spaciness of the pieces) is really much more lyrical in nature than some of the echoing, spacey play featured on earlier albums such as Fish Rising. It is truly uplifting and refreshing to here a different side of his playing. The underpinnings of much of the electronic and ambient music to follow can be heard here if one listens enough, and this is done with a strong sense of musicality and taste. It is space prog at its best. Five stars. Aquí tienen un discazo del mago jipón y drogón de la guitarra, pero tenemos más, veo si para hoy o para después. Y no se olviden, estos links no son de Mega así que tienen su tiempo de duración. Difruten, vuelen, y recuerden que no hace falta ningún químico para volar de verdad, libre como el viento.